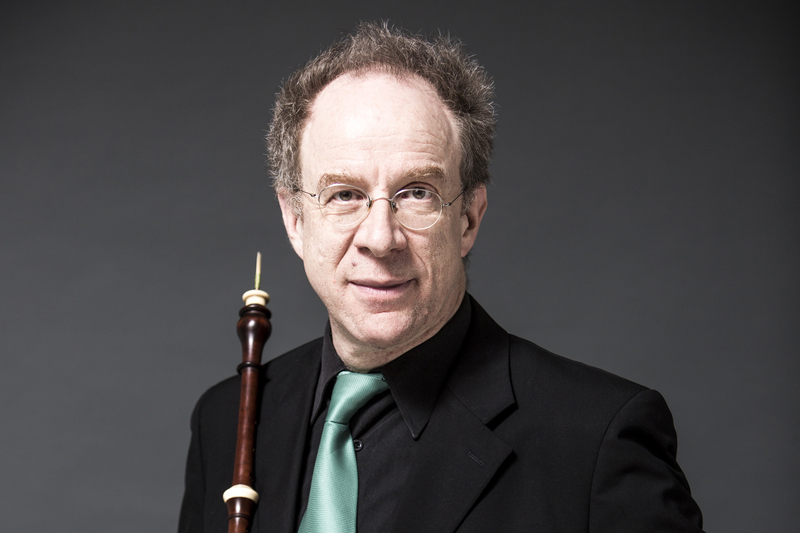 We are happy to share the program note for the concert Per l’Oboe featuring Alfredo Bernardini that will be presented Frebruary 13th at the Salle de concert du Conservatoire. The oboe, of which it can be said to nearly speak, is even friendlier when played correctly. From the very beginning of the eighteenth century, composers from all over Europe used the oboe as a solo instrument in pieces ranging from concertos to chamber music. Many editions of trio sonatas intended the upper instruments to be used in a way that was more or less interchangeable, but the oboe quickly received specific parts of its own. It soon became an integral part in the orchestra, no longer content to just back up the violins. This phenomenon sprang forth from opera theatres, even before the existence of the “symphony” orchestra, by adding two oboes and two horns to the ensemble of strings– the distribution of the early symphonies of Haydn and Mozart. 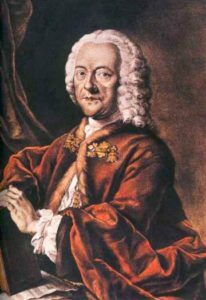 Georg Philipp Telemann honored all his contemporary instruments. He wrote in one of his autobiographies that he very quickly learned to play “the violin and recorder, the oboe, the flute, the chalumeau, the viola de gamba, and even the double bass and bass trombone, in addition to keyboard instruments”. Knowing this, it’s no surprise that his countless compositions perfectly exploited each and every instrument’s unique capabilities! His Tafelmusik, an ensemble of three large volumes published in 1733, showcases some of his most beautiful instrumental music, using all possible combinations from sonatas to orchestral suites. The oboe plays important roles, notably in the remarkable Quartet for Flute, Oboe, Violin and Continuo in G major from the first volume, with its first two movements opposing two different tempos. The instruments of course share a theme, but each one also develops its own individual motifs. Telemann aims to give “to each instrument what suits it”, so that all can enjoy it. It is probably why he so valued the quartet – it was a new genre, not as rigid as the trio, that presented more freedom. Johann Friedrich Fasch is one of the most interesting German composers of the first half of the eighteenth century. A student of Johann Kuhnau’s in Leipzig and a great admirer of Telemann, after a visit to Dresden he ended up serving the court of Zerbst forever after. He composed numerous instrumental piece where the woodwinds were given choice roles, arranged with a vivid sense of colour. His production, however, was unknown during its own time, and is hard to date precisely. In his Quadro for Recorder, Oboe, Violin and Basso Continuo in B flat major, traces of Corelli’s work can be found, such as in the fugued second movement, a more modern turn on his Grave, which plays out a light and hazy atmosphere. Even if the flute was especially prized at the Prussian Court – let’s not forget Frederic II himself played it brilliantly – Berlin’s established musicians did not neglect the oboe. Johann Gottlieb Janitsch, double bassist in the Court’s orchestra and an important member of Berlin’s musical scene with his popular Friday Academies, gives it a shining role in the many Quadro sonatas he left us – after 1750, they followed the Berlin school of thought through use of the three movement format. “Their melodic invention is remarkable due to its variety and lightness”, in the words of Christopher Palameta, and we can find characteristics of the new, gallant style alongside points of expressions inspired by the Empfindsamkeit. 1 Alberto Ausoni, La musique, Hazan, 2006. 2 Gunther Joppig, Hautbois et Basson, Payot, 1981.